This Demonstration shows the behavior of three immiscible, incompressible fluids in laminar flow. The fluids are layered vertically and subjected to steady-state Couette flow; the top plate moves to the right at a constant velocity, and the bottom plate is stationary. 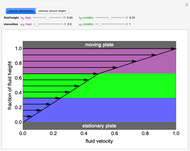 At each height, the velocities represented by the black arrows are relative to the top plate velocity. 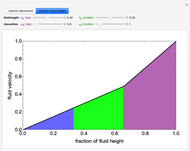 You can change the viscosities and heights of fluids 2 and 3 with sliders. 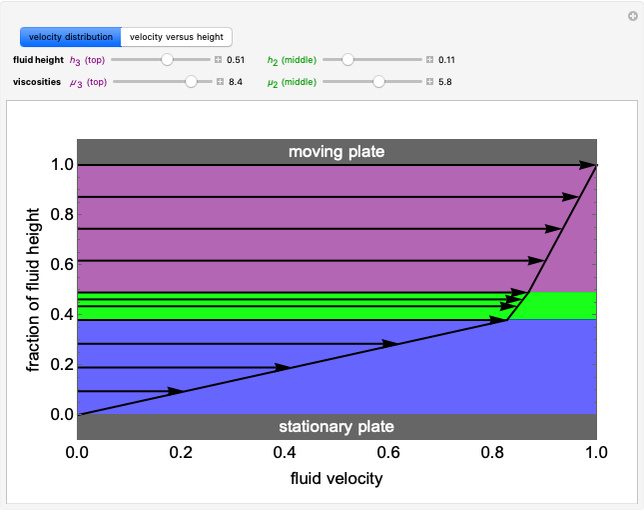 The velocity distribution shows the impact of fluid viscosity on the fluid's velocity gradient. 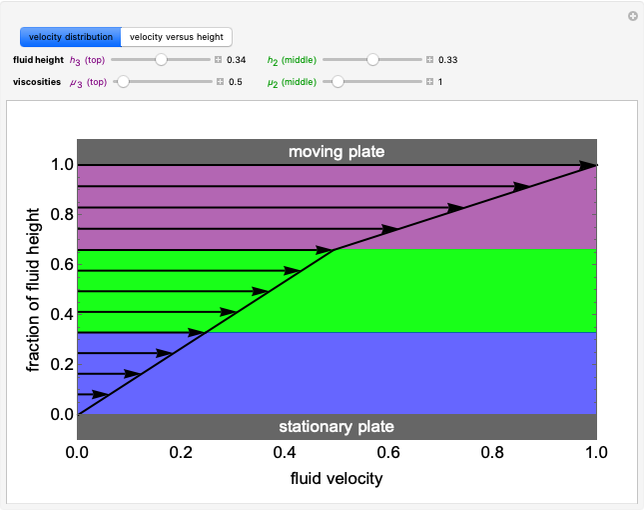 The velocity versus height plot indicates the relative slopes (or velocity gradients) in each fluid. All numbers are dimensionless. where is density, is gravity, is pressure, is viscosity, is fluid velocity, is plate velocity, is time and is the distance between plates. 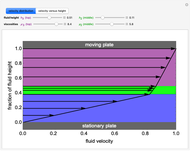 Duncan Chadly, Michael Wrobel, Terra Salamida andRachael L. Baumann "Velocity Profile for Immiscible Viscous Fluids"